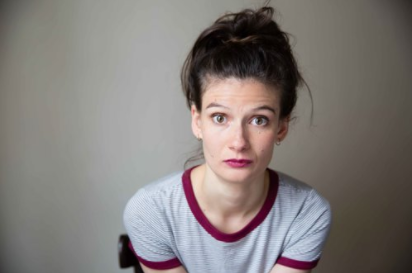 A new all female London-based production company, Double Yay Productions, has been formed following a Kickstarter campaign to fund its debut project. The prodco will release its seven-part series Nutritiously Nicola!, after the company exceeded its Kickstarter target to £16,000 (US$23,660). Double Yay will look to write, develop and produce female-led scripted comedy for linear and digital television platforms. Caroline Amer will become producer and business director for the prodco, with Natalie Bray (pictured) producer and creative director. Rebecca Tanwen Morgan will become producer and operations director. The trio began working together after Bray developed Nutritionally Nicola!, originally a stage show that she performed herself, into a full length pilot. Bray said: “We make comedy that’s not just for comedy’s sake. Our work features female leads who are kind of heroines – they may be messed up heroines, but they’re heroines you know. Double Yay becomes the latest female-led prodco to launch in Europe. In Scandinavia, actresses Alexandra Rapaport, ex-Discovery Networks Sweden channel exec Calle Janson and Birgitta Wannaström recently launched Bigster, which has a similar ethos to Double Yay.